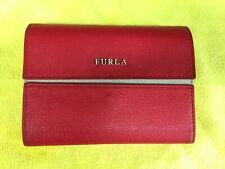 AUTH FURLA DENIM BLUE LOGO FABRIC/TAN LEATHER TRI-FOLD WALLET/COINS-CUTE- RARE!! 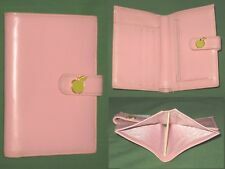 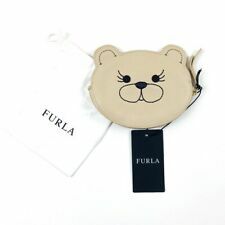 FURLA Italy Wrap around zipper Long wallet purse Rare Cute very good!!! 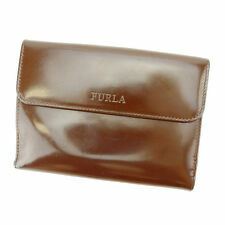 FURLA Designer Leather Mini Card holder, w/dust bag, NEW.